Building a great app is step one. Acquiring users is step two. Engaging and monetizing users is step three. But how can you engage and monetize when you don't know what's going on? 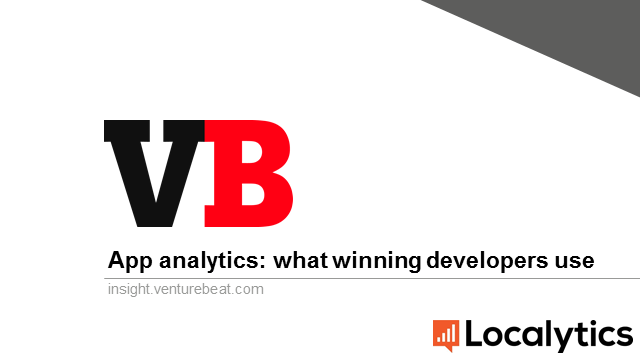 App analytics solutions are the answer. Or, more accurately, the hundreds of answers ... since there are many, many options for mobile developers to consider. But which ones are going to deliver the kind of value that will allow you to properly engage the users you acquire, understand what they're doing, provide the value they're seeking, and enable you to monetize your app? To answer this question, we asked 230 app developers with 250 million currently active users how they track app data, what works best for them, and what doesn't work. We also partnered with MixRank to get access to SDK, ratings, and download data for over 1.8 million apps on Google Play and the iOS App Store. In this webinar, we’ll share what we learned. What the best and most successful app publishers are using. And, what you can do to emulate their success.